As your business grows and you face the prospect of being required to offer benefits to your employees, it can feel like an overwhelming expense at first. Suddenly, a good portion of your profits is being eaten up by healthcare and other employee benefits. There are a number of ways that our employee benefits consultant in North Jersey can help you keep those spiraling costs under control, but it’s an undeniable fact that you are going to be paying money out for these benefits. Some business owners might feel like it’s an unnecessary expense and resent the cost of paying for those benefits. The truth is, though, that offering those benefits and ensuring they are meeting the needs of your employees is key to your business’s success. It attracts top talent to your business. Your business relies on your team. Having the top talent in place means you have the brainpower, experience, and knowledge needed to get things done. The better talent you can bring in, the better your business is going to do. But it’s important to remember that you aren’t the only business that’s trying to recruit the best candidates. The more qualified the person is, the more job prospects they are going to have, and it’s often the case that they make their decision about where to work based on the benefits and perks that they receive from the job. A salary is great, but a lower salary with a better benefits package is going to be more attractive to the prospective employee. Not only does it help them cover things like medical insurance, dental insurance, and life insurance, it shows that your business is one that cares about the well-being of its employees and wants to help them succeed, too. It also makes your business look more stable and successful when you are able to offer a great benefits package. You’ll be paid back with top candidates who can’t wait to come to work for your business thanks to it’s increased appeal in the job market. It keeps good employees around. Once you have great people in place, you don’t want to lose them. Businesses with high turnover rates will be pouring money into searching for new qualified candidates, marking the position, interviewing the potential employees, and then paying to train them for the job. That’s wasted money if the person walks out the door six months later because they’ve been offered a job with a better benefits package. You’ll spend around 50% of the employee’s annual salary replacing them. You want to give your employees a good reason to stick around, and a competitive compensation package is a big part of the deal. Employees are far less likely to leave a job where they have a great benefits package; it’s often the case that they can get similar compensation elsewhere, but a losing their benefits is a much bigger issue to contend with when switching jobs. 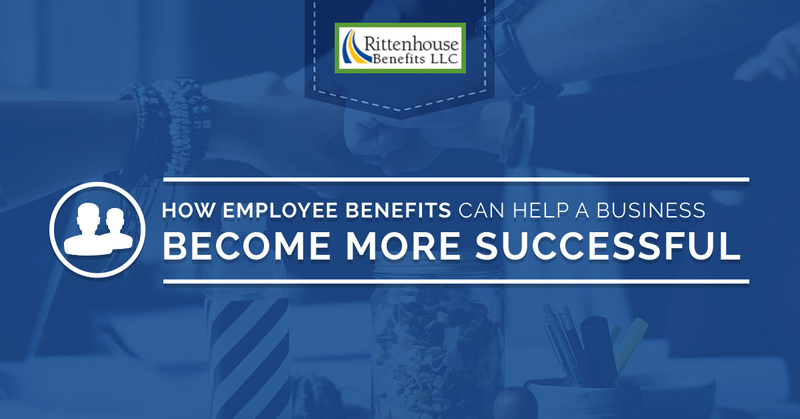 Plus, great benefits just make employees happier, and a happy employee is one that’s going to stick around for the long haul with your business. Long-term employees cost your business less and offer your business more and the stability is a big bonus for your company. It helps your team focus on their job. When people are worried about medical expenses, they aren’t focusing on their job. There are lots of outside concerns that can affect an employee’s on-the-job performance, distracting them from the work and preventing them from giving 100% when they are on the clock. There is no way that you are going to be able to prevent all personal distractions. But eliminating the burden of getting benefits for themselves and their family is a big one that you do have control over. When employees feel like they are appreciated and that their company is going to take care of them, they are much more willing to go the extra mile for their business. Not to mention that benefits help keep your employees healthier, which means they can focus on work instead of taking sick days or worrying about their illness. It’s a big boost to employee morale, too. They are more likely to be focused on their work and give it more effort, and that’s something that will directly benefit your company. It helps customers have a better experience. Happy employees are going to give your customers a better experience. Whether they interact with them in person, over the phone, or out in the field, happy employees are going to be able to focus on customer service and making sales. That means you’ll be more likely to retain the customers that you have as well as bring in more new customers to your business. Employees that feel that their company doesn’t care about them aren’t likely to care about your customers, either, and could even warn customers off of spending their money with you or direct them to a competitor. Employees who care about the business are going to create customers who care about it, too, and give them confidence about spending money with you. It has a direct effect on your bottom line. You might be paying out for benefits, but you’ll see a return on your investment. Happier employees who are more engaged with their tasks and your customers are going to bring in more money for your business. Offering benefits might seem at first glance like a burden, but you’ll quickly see the difference it makes to your business and your team. Employees who are unengaged at work (for whatever reason) cost businesses an average of $2,246 every year. That’s per employee; so if ten of your employees are disengaged, you’ll be losing around $22,000 a year. How much are your benefits costing you? Because you might recover those costs simply through increased employee engagement. Keep in mind that there may be tax advantages to your business for offering benefits, as well; make sure you check with your accountant to determine what those benefits are and how much they may help you save. Ready to See How Great Benefits Can Help Your Business Grow? It’s time to stop thinking about employee benefits as a burden and start thinking of them as a way to strengthen your business. Benefits are an investment in the future of your company and your team, but that doesn’t mean that the benefits that you offer have to drain your profit margin and have a negative effect on your bottom line. 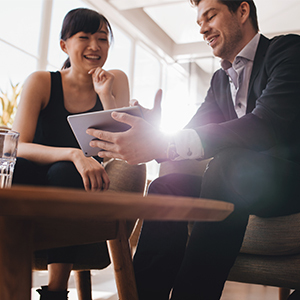 Get in touch with our employee benefits consultant in North Jersey to learn how you can provide your team with the benefits that they need without paying too much. We’ll show you fully-funded as well as self-funded medical plans that you and your employees will love. Start with a free consultation with our team to learn more about what we can offer and how we can help. Simply give us a call or fill out the contact form on this website. A member of our team will get back to you as soon as possible to schedule your consultation so you can learn more about our services. We look forward to sharing the next generation of employee benefits with you and helping your company grow and succeed in the coming year.